At this time, Christoph Egger’s first very own product – a mobile phone cradle made out of silicone – is at the marketing stage. An injury to a friend’s eye whilst skiing and an argument witnessed between a couple after a classic “sitting on the sunglasses” incident in faraway Asia six months later, causes the first inkling of an idea to take root in the head of the Tyrolean visionary. His initial plan at this time is to continue working with the commonly used material silicone. His first attempts, however, fail miserably. Inflamed by his vision, Christoph sells the brand name and patent rights of the mobile phone cradle in 2005 and focuses his attention on the development of gloryfy. In the village of Mayrhofen in the Tyrol’s Zillertal valley, he constructs a clean room complete with laboratory for the purpose of carrying out the necessary tests and experiments, more or less without any assistance from external developers. Tests, tests and more tests are carried out in the laboratory. The main difficulties: finding both a suitable material and a process which will enable series production in large quantities. 2008: JUST DON‘T GIVE UP NOW! Back in 2008: The motivation in the team had reached a low point. Christoph Egger knew they had to finally manage a breakthrough now. The time factor plays a crucial role in development. Our aim for 2008 was to exhibit at the leading opticians’ fair in the German-speaking region, OPTI, in January 2008. But even 24-hour days in the lab did not produce the hoped for success and as a result we presented a concept, namely unbreakable, but also just an idea at OPTI 2008. The samples of classes, called G1 (G1 stood for gloryfy One) were prototypes and they were not intended to be offered for sale. The gloryfy booth is so overrun with people interested in the unbreakable eyewear that the booth even had to be closed for a short while. So there does appear to be a market for “unbreakables” but we are a long way off fully-functioning series production. 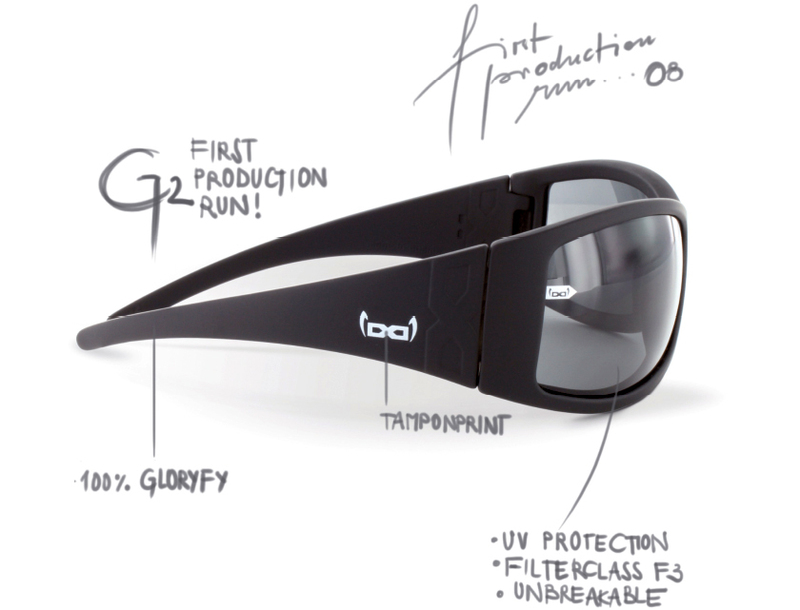 It was therefore to take another two years before the gloryfy team would be able to produce unbreakable sunglasses in series. 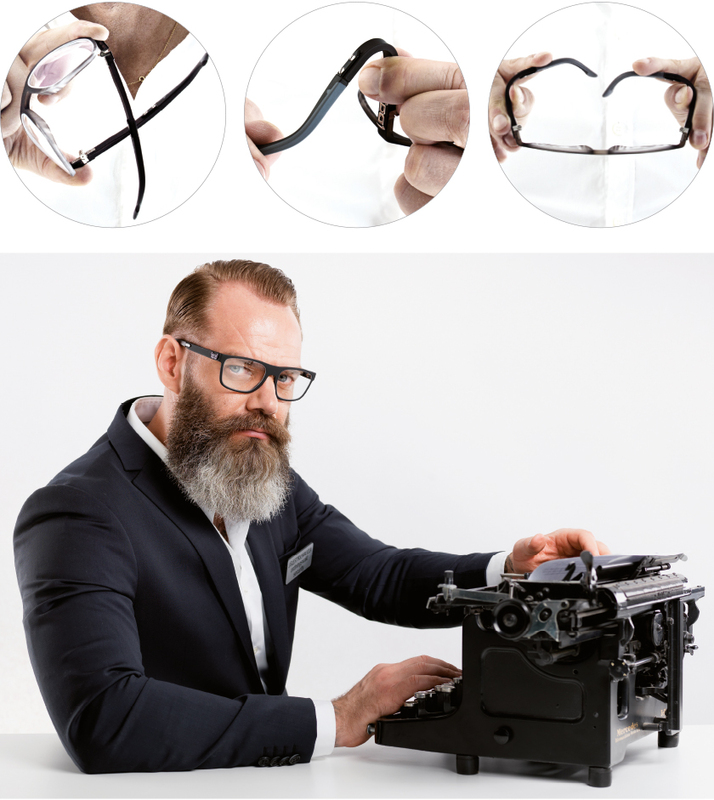 October the 4th, 2008 - The first eyewear is supplied to opticians in Tyrol. Under challenging circumstances the promise to deliver the first gloryfy unbreakable sunglasses in Austria at the start of October 2008 is kept. The supplied products are “genuine” one-offs! By the way, gloryfy G1 was never produced in series out of a respect for failure, the first model ready for series production was the G2. Finally the day has come, gloryfy unbreakable eyewear can now be produced in series from mid-2010. Cooperation with artists and athletes, so-called “gloryfy heroes”, has always been an important aspect of the gloryfy world. As a result, the first sunglasses models were already developed with artists like Rich:Art, Dust and Lilo Krebernik or ski goggle designs with the snowboard legend Michi Albin in 2010. Series production is up and running, gloryfy is able to meet demand and the collection can now gradually be expanded. Another milestone is the introduction of prescription eyewear. 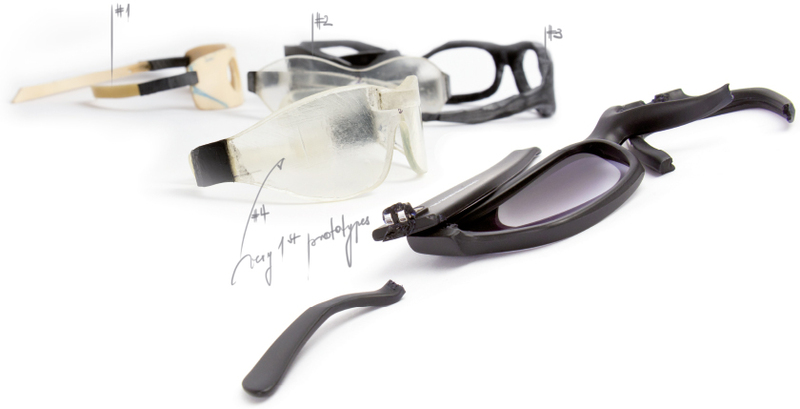 All components, even the lenses, are made from the unbreakable polymer NBFX™.